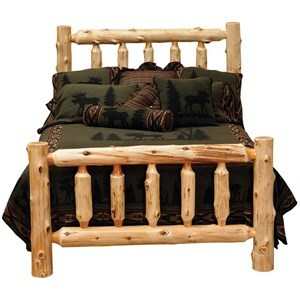 Nature is truly represented with this Small Spindle Log Queen Bed. 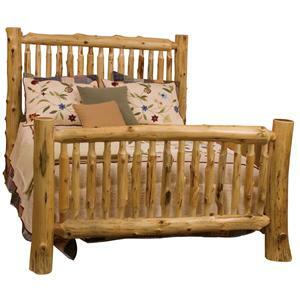 Hand peeled northern white cedar logs are expertly crafted to resemble their natural character. 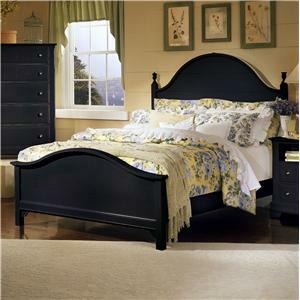 Full log side rails and clear-coat catalyzed lacquer finish provides extra durability and sturdiness. 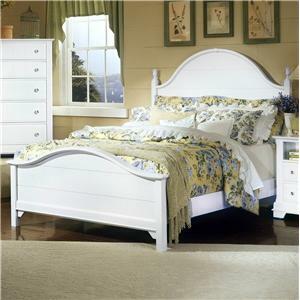 Creatively designed and constructed, this bed is as refreshing as a walk in the country on a Summer's day. 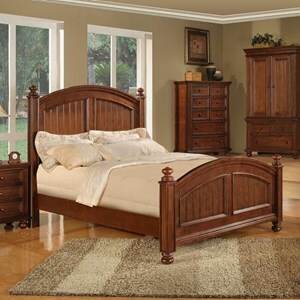 Also available in single, double, and king sizes to accommodate your personal space and stylistic needs. 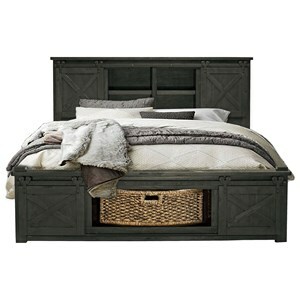 To ensure sweet dreams every night, make this unique piece of furniture a focal point in your bedroom and establish a warm and cozy sleeping haven. 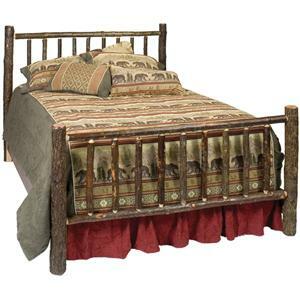 The 10041 Queen Small Spindle Log Bed with Hand Peeled Logs by Fireside Lodge at Mueller Furniture in the Lake St. Louis, Wentzville, O'Fallon, MO, St.Charles, St.Louis Area, MO Furniture Store and Belleville, Shiloh, O'Fallon,IL area. Product availability may vary. Contact us for the most current availability on this product. 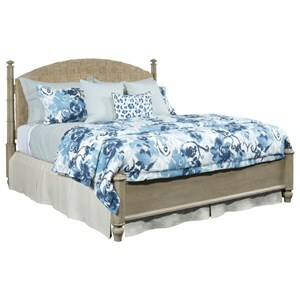 B10051 Barndoor Style Headboard 1 64" 53"